The folks at Wirrina have let us know that the dates for this year’s festival have been moved. The September weather has played a major part in their decision and thus the festival has been moved to November. The 7th Bluegrass and Acoustic Roots Festival is now planned for the weekend of November 16th-18th, 2018. This is a week after the Mountaingrass weekend in Beechworth. If you’ve already booked accommodation or time-off for September, we apologise for the inconvenience. If you are camping or bringing a caravan though, we make absolutely no apology whatsoever, as the probability of decent weather for camping and travelling is much higher at that time of year. We’ll return to the same venue for all activities – the Wirrina Cove Holiday Park. Ben and Holly have been great supporters of our festival so we are looking forward to being there with them again – the Festival Team. Organisers say it’s early days, but it looks like being a very good weekend this year. So do plan to come and check it out. They’ll have the usual offering of concerts, workshops and jam sessions and looking to see what else might be possible, a little further down the track. Suggestions and contributions are welcome, as always. Interested in performing? Let them know if you want to be considered for the program. Bluegrass, Old timey, Americana/String Band styles, traditional acoustic music are all welcome. Nine Mile Creek to Head to Wirrina SA. Festival organisers have announced that Nine Mile Creek will be part of their bluegrass lineup for this year’s Wirrina Festival in South Australia. 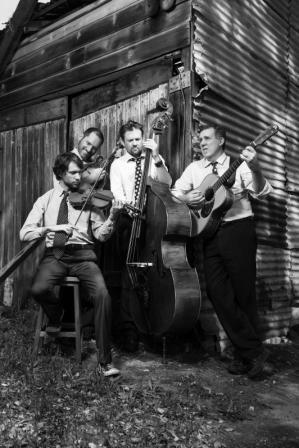 Nine Mile Creek hails from Victoria and features Mark Pottenger on mandolin, Colin Weight on banjo, Andrew Barcham on double bass, and Doug Wallace on guitar with all members of the band sharing vocals. Nine Mile Creek is a bluegrass band playing traditional and original Bluegrass, with a touch of Swing and Americana. Lead vocal duties are shared, and two, three and four-part harmonies make for an exciting, toe-tapping musical experience. 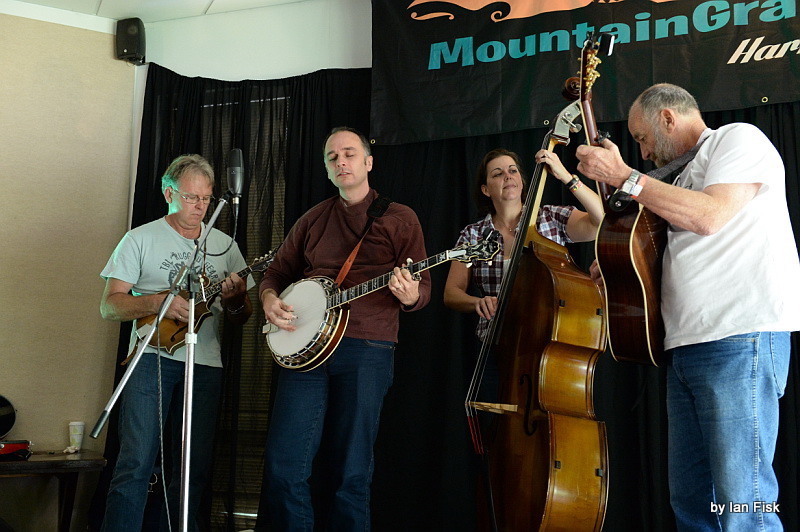 The band has a strong repertoire, and is a regular contributor to the Mountain Pickers Association’s monthly night. 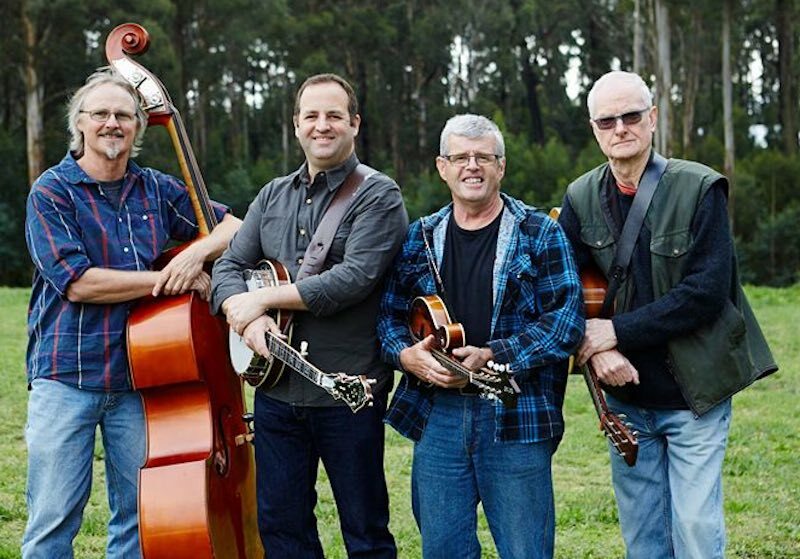 They regularly feature at Australian bluegrass festivals, including Mountain Grass, Kelly Country Pick, Great Alpine Creek and the Foggy Mountain Bluegrass festival. If you’ve seen this band perform, you’ll know that South Australians are in for a treat. Wirrina Bluegrass Festival – 1st – 3rd September 2017. Organisers have finalised acts for the 2017 Wirrina Festival and applications are now closed. They have announced that they have some excellent bluegrass acts that have not appeared at the festival before. This includes the band Nine Mile Creek from the Dandenong Ranges, Victoria. We will bring you a more comprehensive list when it becomes available. The festival will also feature some acoustic roots acts appearing, from all sorts of genres. You can here more on this from the Wirrina Facebook page. Tickets are now available from the Wirrina website. Feedback from the Wirrina Bluegrass Festival to-date indicate that they have had some great applications from performers across the country this year. They plan for some great local-to-SA music as well. If you want to be part of this year’s program, drop them a line and tell us about yourself (or remind them or update them about what you’re doing these days). The festival will feature bluegrass, old-timey and other traditional acoustic music at the festival, so there is room for a fair bit of variety in the lineup. As in previous years, the festival will offer preference to performers who contribute to the atmosphere and love of the gathering, and who are willing to share their time and skills with all. So let them know what you might like to contribute – whether it’s something we have done before or not. The festival is still in nappies as far as festivals go but organisers are keen develop the event and to provide the opportunity to incorporate new traditions or activities. Typically the festival provides a fairly small program, so will not be able to include all who apply. However, they are looking at ways to showcase a few more artists and bands this for year. There is a load of great music in Australia an organisers would love to hear about it. This year’s festival is on September 2nd-4th, 2016. Once again the major sponsors are Ben & Holly at the Wirrina Cove Holiday Park. This year organisers are looking for volunteers. Also, if you or your business is interested in talking about some kind of sponsorship for this event, please get in touch. News from the folk at the Wirrina Bluegrass & Acoustic Festival is that they are moving the festival location. The festival will move to Wirrina Cove Holiday Park for the festival weekend. Everything including camping and cabins, food & drink, undercover stage, spaces for sessions and open mic, will be available on one site. Organisers assure us that there will still be quiet areas for camping, so if you really want to sleep, or retreat for a bit of peace and quiet, you’ll be able to do that. Organisers believe the new location will provide for a great weekend for everyone. 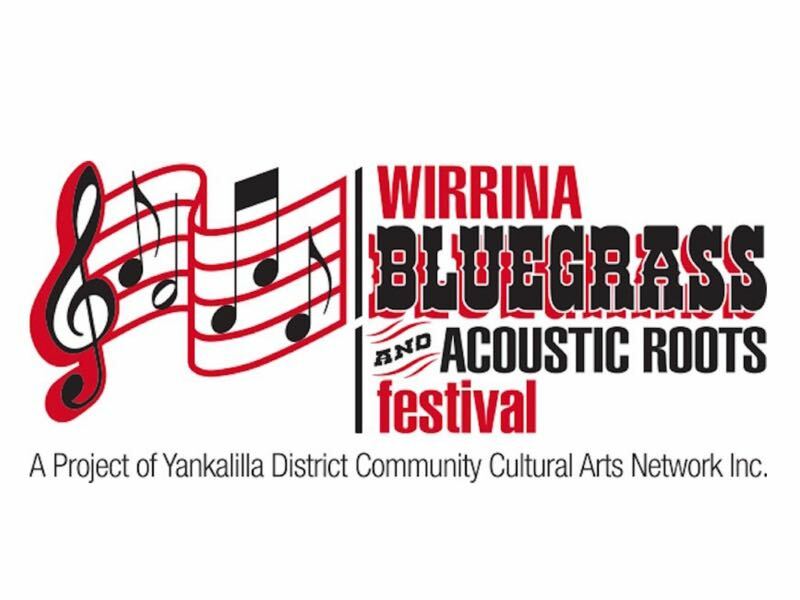 Wirrina Bluegrass & Acoustic Festival in September. is set for the first weekend of September. 4th – 6th Sep. Applications are now open for the 2015 program. Organisers have already received a host of interest from various artists and groups from across the country. Preference is given to acts who play acoustic Bluegrass music or related traditional forms. Eg, Old-timey, traditional string band styles, traditional country. The festival program will include performers who are prepared to be on site for the duration of the festival, mix with people and participate in many aspects of the festival. Particular preference will be given to performers who can contribute to the festival in ways other than performing in the concerts. As a new festival organisers are keen to see ideas to help develop the overall festival experience and acoustic music atmosphere. Email the festival on info@wirrinabluegrass.com. Applications close some time around the end of April so get in touch sooner rather than later.